If you are looking to buy a multimeter for your electrical troubleshooting tasks, there are certain key things you need to consider. You need the right information to ensure that you are getting the smartest deal and the best bargain. Some crucial elements to bear in mind include the features, ease of use, how to use the multimeter, cost and overall design (whether it’s portable or too large). Some of these considerations are based on what you want to accomplish with the multimeter. Read on for more information on the things you need to give think about before buying a multimeter. 2 What features are you looking for? Obviously, one of the first questions that pops up in your mind when buying a multimeter is, “How much should I pay?” Multimeters vary in terms of brand and price; some are very affordable while some others at the higher end of pricing. But to give you an idea, you can spend anywhere between $50 and $500. Usually, the calibrated multimeters are more expensive than ones that are not calibrated. However, you may need it to be calibrated on a yearly basis to keep it very accurate. This additional expense can quickly outflank the initial cost. Usually, cheaper models are designed with only basic features and may not have the extended functionality that comes with the more expensive ones. Handheld multimeters are a good example of cheaper options. But it is advisable to buy a high quality product with all the right features if you are a professional. You don’t want your customers to be disappointed with your service due to the use of inaccurate reading material. So, a bench top multimeter is ideal for most professional troubleshooting jobs. The feature of the multimeter are paramount. Before you invest, understand what you are looking for to select the multimeter that will best serve that need. If you want a simple functioning meter with just basic features to help you accomplish simple tasks, you can settle for a product with straightforward measuring features. However, if you are a professional who require a wide range of choices with a multimeter, it is better to settle for a more feature-rich product. Usually, digital multimeters tend to be more accurate with more measuring features such as current, resistance, DC and AC voltage, capacitance and continuity. Most high quality units come with features which include data acquisitions, removable data storage, adjustable sample rating, auto ranging and DB ratings. There are varying ways you can use a multimeter just as the name implies. You can use a multimeter on switches, power sources, components, motors and batteries. An auto-ranging feature is another excellent feature that high quality multimeters have. With an auto-ranging feature, you will be able to select different range of voltages since you will be dealing with a very flexible device. It is great for wiring systems and detecting computer malfunctions. The brand of multimeter you buy is also very important. In most cases, you will find good models made by high quality brands. Good brands want to maintain their standards and they would not want to manufacture products with poor quality design. The best brands of multimeters always maintain high quality control. So, when you are ready to buy a multimeter, do not neglect to look at the best brands and see what they offer before you make your purchase. Known brands provide superior products that are more efficient and highly accurate for all kinds of electronic troubleshooting. They boast the highest customer ratings and reviews on retail websites such as Amazon. Before you buy a multimeter, make sure to search for the best brands and settle for the product with the best measuring ability. There are different options available for you if you are looking for a high quality multimeter to buy. Before you settle for one, always try to conduct your research and select the product with the highest ratings and reviews on retail websites. Select the meter with the best features based on your needs and the kind of task you want to accomplish. 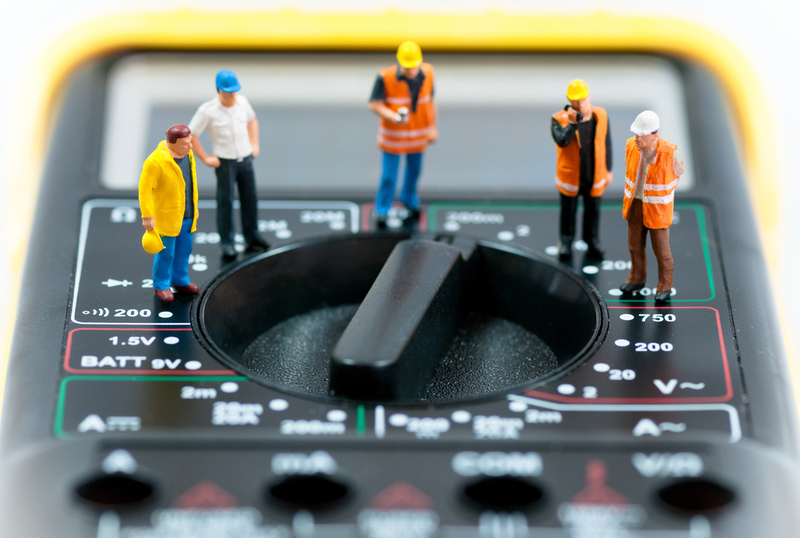 If you conduct proper research before buying a multimeter, you will be able to select the ideal model that will help you accomplish your task more effectively.